For those new to crypto-currency, this may seem like a very odd question. If you were a traditional investor in stocks, for example, would anybody purchase Google stock and then ask "What can I do to support Google?" Most likely, if we've purchased Google stock, we're already doing all that an investor can do to support an investment. But the crypto market is unlike any other; it is akin to a "closed system." Once fiat has been converted to crypto - whatever crypto - it is more likely to be traded for yet another, different crypto-currency, rather than simply be cashed out to fiat value once again. And while the volume of the top cryptos exceeds some top public companies, it quickly drops off after (roughly) position five in the coinmarketcap listings.1 This means that each crypto-currency must try and market itself to investors to capture as much of the limited daily volume as possible. In addition to this expected type of marketing, different powerful financial interests will also try and compete for their own coin. This core nature of the current, relatively small crypto market has led to some unfortunate behavior - including the spreading of misinformation about competing coins. While some of the misinformation can be chalked up to unintentional newness of the topic, in other cases it is apparent that there is something else at work. It really doesn't matter what the core motivation is; whether its miners trying to negatively impact the perception of any non-proof-of-work consensus protocol (like XRP), or entrenched financial interests that may have accumulated a vast number of Bitcoins, the industry is faced with an uphill battle of public perception to modernize its technology. XRP supporters are adept at educating others. We've been stalwart supporters of Ripple's innovative and transformative technology since its origin five years ago. But it's been more of a challenge than it needed to be along the way, while we battled with this "win-lose" attitude of some of our fellow coin tribes. If you're new to crypto, or more specifically XRP, you can easily learn from our experience and help the community raise XRP's profile. It’s more than just water-cooler talk about the “hot crypto.” To educate others, we must dive into the details of the use case, and be able to explain just how XRP’s use case drives its value. We also should be able to explain how XRP’s transaction settlement happens in under four seconds,2 unlike Bitcoin, which can take over an hour.3 Some investors are loath to participate in this process, and I can understand their perspective; it’s not the usual practice for investors to actually be able to affect the market. But we can affect the crypto market. If you have any doubt, consider the number of social media platforms, forums, chats, and groups that have sprung up online to fill the void. People are hungry for unbiased news about crypto-currency, and they want to invest. As an XRP investor, you have the ability to sway their thinking and contribute to the positive perception of Ripple and XRP. How is this done? If you want to make an impact, you have to be courageous enough to express yourself. I am new to social media. I was a laggard to Facebook, and I only recently (summer of 2017) started up a twitter and Reddit account. The sole reason I did so was to participate in discussions about XRP and Ripple. For those unfamiliar with Reddit, it is sufficient to understand that it allows users to post content and also to rate others' content. The overall content is broken down into categories known as "subreddits." To participate in a subreddit, a user must subscribe. This allows them to comment about others' posts, and also to rate the posts with a positive or negative emote. The top XRP-related subreddit is without a doubt r/Ripple. This is a well-moderated forum with a large amount of supporting material. In addition, the discussions tend to be well-moderated and XRP-specific. The fan base in this subreddit has shown a hunger for all Ripple-and-XRP related news, and is helpful to each other with pointers, tips, and advice. Criticism tends to be constructive rather than antagonistic. The other two subreddits are supportive way-points in the wilderness as well, but tend to be frequented by a lesser number of readers. I think it’s good that we have a subreddit titled r/XRP, for those new investors looking for guidance or helpful information by searching for our crypto-currency’s acronym. Crypto-currency is gaining a tremendous amount of exposure among the mainstream press and also mainstream retail investors looking to capitalize on incredible returns. The traditional stock market provides some opportunity for investors, but the crypto markets provide a way for an ordinary person to achieve far higher returns than most publicly-listed stocks. As you can see, these agnostic subreddits far outnumber XRP-specific subreddits; while sticking within r/Ripple is comforting to those of us already sold on XRP, it's important to avoid the concept of "preaching to the choir." If we truly want to meet and interact with readers that don't already know about XRP and Ripple, we need to subscribe and participate in these non-specific crypto subreddits as well. 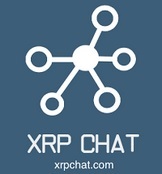 XRPChat is a forum that is ideal for discussions, elaborately winding topics that may run for pages, and for sharing content of almost any variety, including images, links, and metadata from other platforms like Twitter and Reddit. XRPChat is my personal favorite, because it’s where I got my start – it has the same abilities, generally, as Reddit, and people that like Reddit seem to react well to XRPChat. I’ve noticed academics frequenting the site at times, doing research among the historical content and threads. In addition, there is a variety of useful information that the website owner (Karlos) has organized using an intuitive tab-based navigation. I would recommend that new long-term investors make a commitment to join XRPChat in addition to Reddit. Earlier, I noted that Reddit is among the top ten most popular global websites. What is even more popular than Reddit? YouTube. YouTube ranks second worldwide only to Google. So popular is YouTube, that it has given birth to more than one superstar over the years - and of course the ever popular viral cat videos. Like Reddit, consumers can "subscribe" to channels of videos and content created by specific video publishers. Some XRP fans have taken to YouTube to express themselves using their own channel(s). There are others in the YouTube space that have produced well-received videos. Some of them are sporadic, but they still serve to support XRP and raise the profile of our favorite digital asset. If you’re wondering where to put your talents to support XRP and Ripple, look no further than YouTube. You may be able to strike out on your own & build a new channel and following; the decision is yours. But make no mistake, new investors are hungry for video blogs and other content on YouTube. While my own preference and talents lie within the “written word” space, I deeply respect these new video stars, as they’re willing to put their face and opinions online in a format that requires courage. Bloggers are writers. We are fans of the written word, typically we dig into topics that require a bit of research. And let’s face it, despite the popularity of YouTube, there are a significant number of individuals that prefer to get their content and editorials in written form. I’ve already discussed Reddit, but blogs offer something that Reddit is not well-suited for: multi-page opinion pieces that lay out supporting points in great detail. I started blogging only recently. In April of this year, I started to write long, winding posts on XRPChat. Some of the readers on that forum recognized my content for what it was – a blog. They gently persuaded me that my posts could benefit from their own location - i.e., a blog. I started my blog on WordPress and never looked back. I’m not the only one blogging – not by a long shot! For purposes of this discussion, I've divided up the bloggers by whether they currently work for Ripple, or are part of the general XRP community. This listing is impressive not only because of the XRP community involvement in blogging, but also the number of blogs that have been published by Ripple employees. While some XRP veterans may be accustomed to the high level of intellectual curiosity typically shown by Ripple employees, some new XRP fans will be surprised by the amount of blogging and publishing that's done by Ripple employees. NOTE: The above list is incomplete. If you are a blogger on XRPChat, and I've forgotten your name, please send me the link, and I'll modify this post to include it. I've just started with a list that I remember without prompting. Some XRP fans are ideal for blogging, but they just might not know it yet. Every so often, I come across a poster on XRPChat or Reddit that has put enormous effort into an opinion with strong supporting points. Sometimes the writer is literally just inches away from creating something that could be published in its own right. Do your opinions stand up to scrutiny? Can you cite your sources if you're covering something that might be controversial? Do you like to speculate and talk about different topics at length? Do you have the ability to be persuasive? If any of the above apply to you, you would be an ideal addition to the XRP Blogosphere. You don't need anybody's permission to blog. You can express any opinion you wish with no interruption. And... its free! In fact, some platforms can actually pay you if your content ends up being popular (Steemit).14 Even if you don't plan on publishing new entries every week or month, contributing your opinion in a written blog every once in a while is a powerful addition to the public perception of XRP and Ripple. Discord is an invitation-only real-time chat program. You can run it through your browser, or download the desktop application for enhanced features. My first impression of Discord was not positive. It was too fast-paced, and I didn’t like the intensity of real-time chat. Don’t get me wrong – real-time chat has its place, and I was familiar with the XRPChat version of this; we called it the “zerp-box” and it’s still in existence on XRPChat for those that want to use it. You can think of Discord as the zerp-box on steroids. Discord is ideal for sharing up-to-the-minute information about crypto-currency and can provide day traders with a leg up on the latest XRP and Ripple information. In addition, even for XRP long-term investors, useful information can be exchanged in this medium. But Discord has some peculiarities that you should be aware of. Discord is not great for getting your opinion about an in-depth topic. 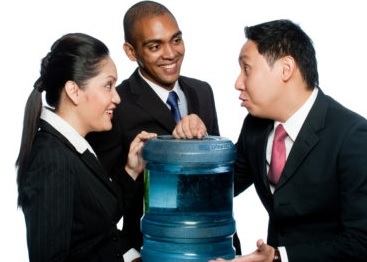 It’s great for one-liners, sharing graphics, and exchanging information with people one-on-one in real-time chats. This one-on-one chat function is almost identical to Twitter’s version of private chats between users. Discord is organized into “servers.” Each one has a number of subscribers that log into Discord and contribute to the rolling conversation. 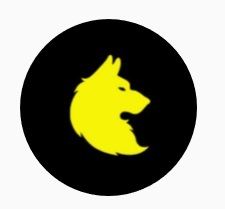 The strength of a Discord server lies in the number and quality of subscribers. If you’re thinking of running a Discord server, don’t make the decision lightly: Discord requires a large amount of time to invest in customization. To establish and run a successful Discord server, you should recruit moderators to help you keep the discussion and topic on-point and enforce the channel’s rules. Each of these has a fair number of moderators, and I'm a member of each server; note that Ripple employees have been known to make appearances over Discord, but more often they choose to interact over Quora, XRPChat, Reddit, or through their own blogs. Facebook is a massive assortment of personal biographies, products, businesses, and now, crypto-currency groups. Facebook is popular for sharing information with XRP-curious individuals that may not be active in other social media. While more social media-savvy users may be present on Reddit, Discord, or XRPChat, almost any person that has basic technical literacy has a Facebook account. If you're active on Facebook, or if you want to contribute to helping build or expand one of these groups, I would urge you to join them and interact directly with the organizers. If you feel like you have the ability to found and grow a new XRP group with a different or more specific focus, that would be excellent: Facebook has a tremendous amount of traffic and viewers. Let's face it: Love it or hate it, Twitter is here to stay. It's shown its ability to shift opinions for good or ill, and the original constraint on the number of words is one of the reasons that many people read tweets during busy times such as work or running an errand. Reading a couple sentences can be done in under twenty seconds. Tweeting is definitely a learned skill for me, and I'm still growing accustomed to having to edit my thoughts down into one or two sentences. If I could pick one of the strongest social media categories for Ripple and its employees, it's Twitter. The official company account is run by a great communicator that seems able to construct very effective and singular messages. In addition, the XRP community is quite adept at creating specific impressions and responding with alacrity to current events. If you wish to contribute to the XRP Twitter presence, I would advise you to build a list of accounts to follow, and then get a feel for how to either tweet your own content, retweet others, or participate in tweet-based discussions. Twitter is a surprisingly powerful tool for creating a quick, intuitive impression. Ironically, I find that it's ideal for those XRP fans that have a flair for graphics - sometimes a graphic will fit very nicely with a two-sentence caption within the body of a tweet. "I don't have the time to participate in social media, or even help expose XRP to a larger audience. Is there a way I can financially contribute?" And of course, the answer is yes. If you look for ways to contribute to any of the above choices, you will probably be able to get that information. Whether it's a new video blogger on YouTube, or XRPChat, you can normally "inquire within" to find out how to contribute financial support. In my experience, those members of the XRP ecosystem that accept donations will accept them in XRP! Some XRP investors are developers. They are the tinkerers of cyberspace, and are not directly related to the company. These external, third-party businesses and individuals have added significant mind-share for understanding the XRP Ledger’s potential for various applications. The XRP Tip Bot is an application that can be used to tip posters on Reddit and (potentially) XRPChat. The developer requires that tippers deposit their nominal amount at his website under their own tag, and then they can proceed to tip XRP to others in online forums. This is one application that I use personally, and I like it quite a bit. I believe using XRP in social media is exciting and is one example of a micropayments use case in action. Interested in processing XRP payments using a plugin that’s been used by many different vendors? Integrating with coinpayments may be an option that you wish to look into. In addition, if you are thinking of spending your XRP directly on purchases, you might want to take a look at the vendor list at their website. You might be shocked to learn that you can easily go shopping for items directly with your XRP! I've mentioned the Reservoir application before; It's an application that leverages the escrow functionality of XRP - the ability to send XRP with crypto-conditions. This application makes this feature available to ordinary XRP holders - an exciting prospect. The ToastWallet is a recent addition to the list of wallets that are available for storage of XRP. This team is well-organized, and has released various supported versions of their XRP wallet, including a version for Apple iOS. Their iOS version was approved for listing in the Apple "app" store. Cointal is a peer-to-peer crypto-currency marketplace built using Ripple technology. Users can trade Bitcoin, Ripple, Ethereum, and Litecoin. The development team is active on social media, including Discord. It's also one of the few crypto-currency exchanges with an actual phone number (UK) on its home page. When I first entered into crypto in 2013, I was enamored with the entire concept of Bitcoin. It was intriguing, and I installed the software to run a full Bitcoin node. I had to wait many hours to download gigabytes of blockchain data, but I was enthusiastic about the contributing to the Bitcoin network. While this sort of community support is important for “proof of work” systems like Bitcoin or Ethereum, Proof-of-stake and other systems such as XRP do not require individuals or miners to run full nodes. Instead, XRP relies on validators (attested and otherwise) to propose transactions and provide consensus. Because of this, running a validator is entirely voluntary. Like Bitcoin or Ethereum, you are not required to run a validator just to use the network – you can simply use a wallet. In crypto, we have the opportunity to step away from the sidelines as passive observers and personally influence the market. We need more of the XRP community on Reddit and Facebook, and also in the XRP Blogosphere. We need more YouTubers. In summation, to convince new investors of XRP's value compared to other crypto choices, we need to speak up and make our voices heard on any social media platform where crypto-currency technology is discussed. Together we're a massive army; let’s mobilize and get the word out about XRP and Ripple.